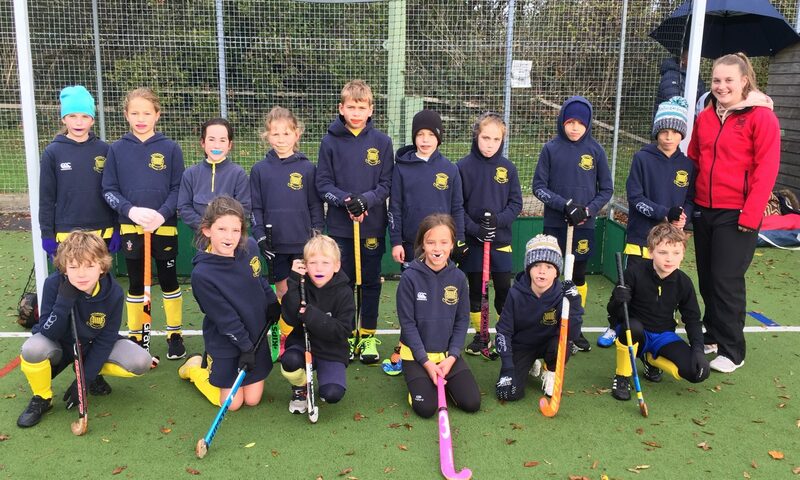 Romsey took two teams to the Winchester mini tournament last Sunday. Romsey 1 enjoyed the day and showed great spirit despite some challenging matches. Special mention should go to Zach W and Hamish N, who both stepped up from the U8s and played really well throughout. In their first game the team were caught cold (literally!) and conceded an early goal, but some stoic defending from Hamish N and Ben G kept Andover at bay for the rest of the game. Defending was the order of the day again in game 2 when they came up against a very strong Bournemouth team. They lost 2-0 but gained in confidence throughout and Dylan W almost scored at the end of the game. Game 4 was again a tough match with some tenacious battling from Elsie D and Maggie N in particular, but Southampton proved too strong and Romsey lost 2-0. 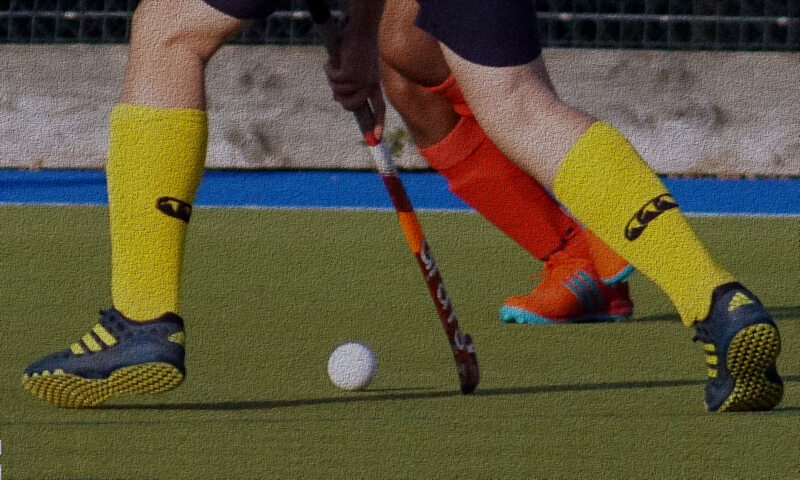 The team were not to be downhearted and bounced back brilliantly in Game 5 with a 2-0 win against Winchester, with goals from Joe G and Zach W.
By Game 6 everyone was feeling rather tired after a long morning of hockey. Trojans dominated the game and Maya S was forced to make several goal-line saves, and ultimately the team did well to restrict a strong Trojans team to 2-0. 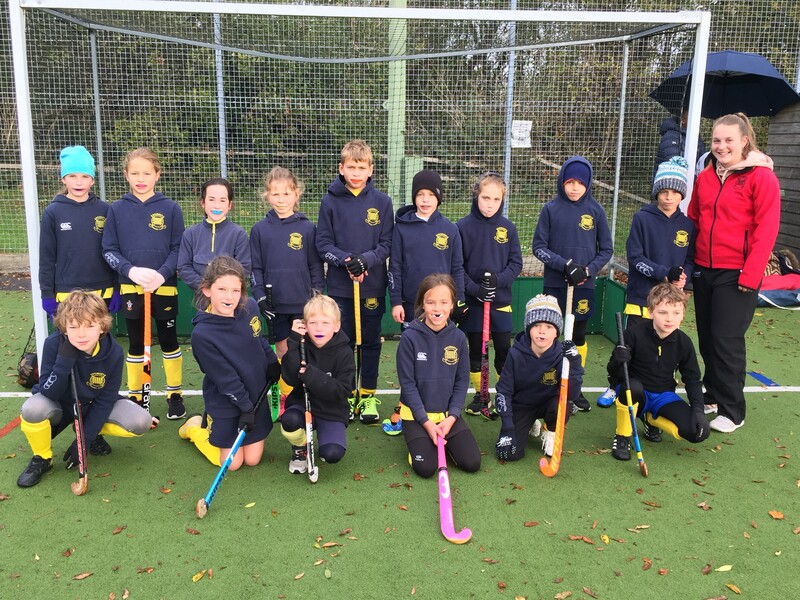 Winchester hosted the U10 mini tournament and Romsey arrived enthusiastically with two teams. Romsey 2 played with seven players and without any subs and all players were made to swap positions for each match. Clara, Anna, Otto, Freddie, Oscar, Grace and Caitlin all played to their full potential and really showed that great team work really does pay off! Romsey 2 were unbeatable and they barely left the oppositions half of the pitch, winning all six matches! Anna, Clara and Otto were super in defence, protecting the goal when playing without a goalie and being confident to go in for tackles. It was Grace and Otto’s first tournament and they both did brilliantly. Grace and Caitlin showed some great link up play as forwards with Grace scoring six goals and Caitlin three, out of the 13 Romsey goals scored on the day. Freddie and Oscar played well in midfield with strong shots and arguably sometimes too high balls, but both boys scored two goals each. Below is a list of the match scores. Well done team, you all played fantastically and with amazing energy. First match of the day was against Salisbury and Freddie and Oscar were keen to show their confidence on the ball with great skills and had a few disallowed goals due to their shots being too high. Grace scored the first goal after good dribbling up to the D by Oscar and then assisted by Caitlin. Minutes later Freddie shot a hard ball straight into the goal and the match finished 2-0 to Romsey. The strong defence of Clara and Otto were resilient in their tackles. The next match was against Bournemouth and Freddie was “on fire” and started the match with a nice shot to score just minutes into the game followed by a great assist to Caitlin who scored our second goal. Towards the end of the match Bournemouth was fortunate to score through Grace’s legs and the match ended 2-1. In the match to follow, Southampton 1 put hard pressure on our team and this was the match that challenged us most. Grace scored our only goal assisted by Oscar. Nat Jupp the coach went through a serious pep talk before the match against Trojans, which was expected to be our hardest game of the day. On the pitch Romsey dominated the play and won 4-0. Early in the match, Grace scored assisted by Caitlin again and then Freddie dribbled to Oscar who scored our second goal. In quick succession we scored another two goals, by Caitlin and Grace who were a great partnership in front of goal. In the match against New- Forest 1, Caitlin scored the only goal and Otto shone by fending off two near misses from New-Forest 1. In our final game it was time to meet the hosting club, Winchester 3. Grace managed to be in the right place when needed and scored the first goal. Romsey had several attempts at the goal and after some great passing in and around the D Oscar hit a smashing shot up into the corner of the goal. In the last minute of the match Grace managed to put in a 3rd goal after great stick skills from both Caitlin and Oscar. Since the team decided to play without a goalie, Anna in defence had an important job of keeping the opponents away from our goal. It was fantastic to see them all working hard and having fun in a tournament that couldn’t have gone any better. Well done to all team members; Otto, Freddie, Clara, Caitlin, Oscar, Grace and Anna.